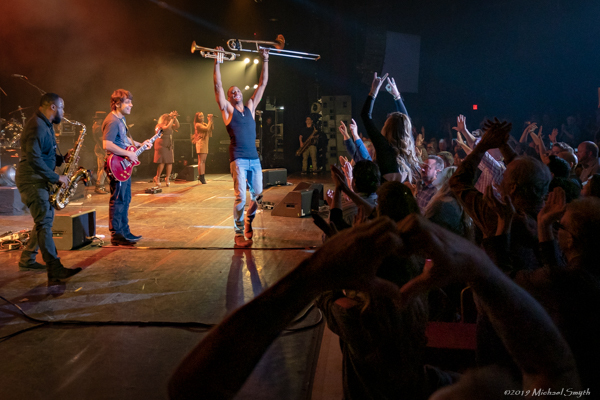 Trombone Shorty and Orleans Avenue blow MontBleu’s showroom audience away on Saturday, Jan. 26. The snow on Mount Tallac glowed lightly in the crisp Saturday moonlight. Lovers huddled together down Stateline’s icy sidewalks, where skiers and boarders had been hours earlier, returning from their adventures on the slopes. It was another cold night in a month full of them and there was no denying winter’s tight grip on the Sierra Nevada. 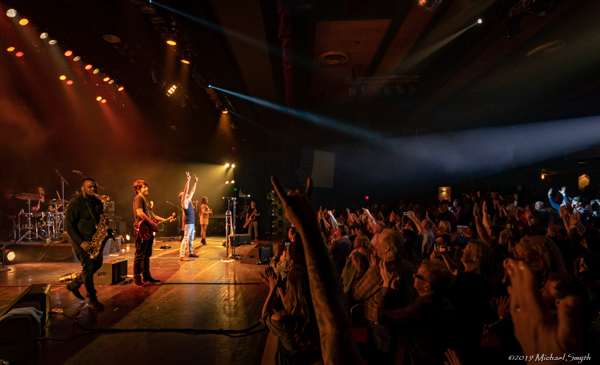 For those looking to escape the polar doldrums the hottest ticket in town was at MontBleu Resort Casino & Spa, where a packed house was transported to the warm, lively streets of New Orleans and rocked by the Big Easy rhythms of Trombone Shorty and Orleans Avenue. 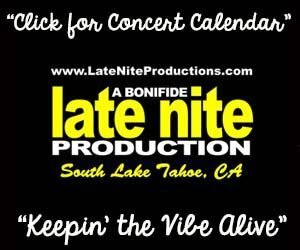 With Mardi Gras just around the corner, there couldn’t have been a more appropriate group than Troy “Trombone Shorty” Andrews and Orleans Avenue to add some Cajun zest to Lake Tahoe. 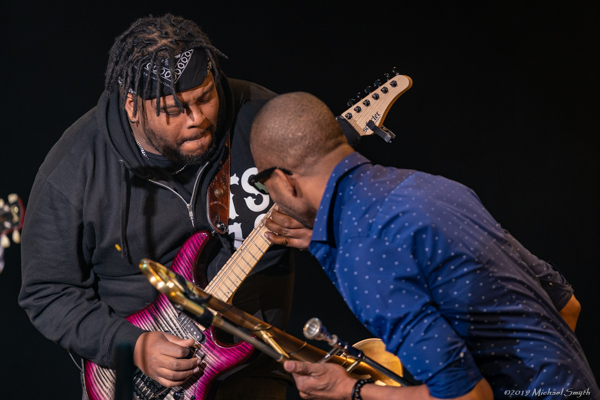 Andrews is something of a musical wunderkind, having been brought up in the New Orleans second-line tradition in the Treme’ neighborhood and sharing the stage with Bo Diddley at the age of 4 at New Orleans’ Jazz Fest. 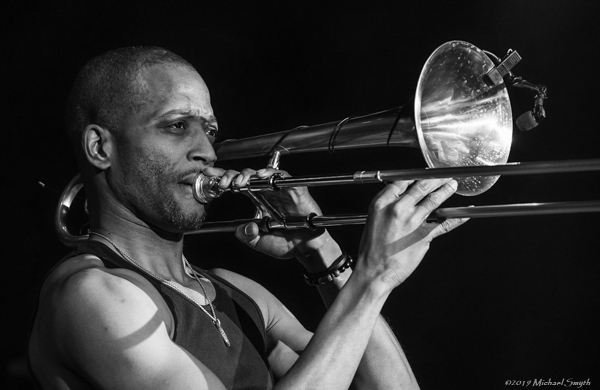 The multi-instrumentalist and his band fully embrace all the musical styling’s of the city — from second line to R&B to rock to hip-hop to funk — and as they’ve continued to highlight New Orleans’ past while lighting the way for its future, Trombone Shorty and Orleans Avenue have grown to become one of Crescent City’s greatest musical ambassadors. 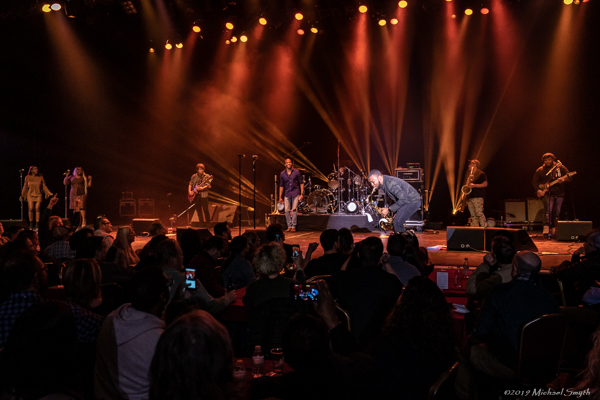 The red and gold stage lights twinkled like embers to announce the arrival of the eight-piece Orleans Avenue, who packed the stage with two guitarists, a two-piece horn section and a pair of backup singers. 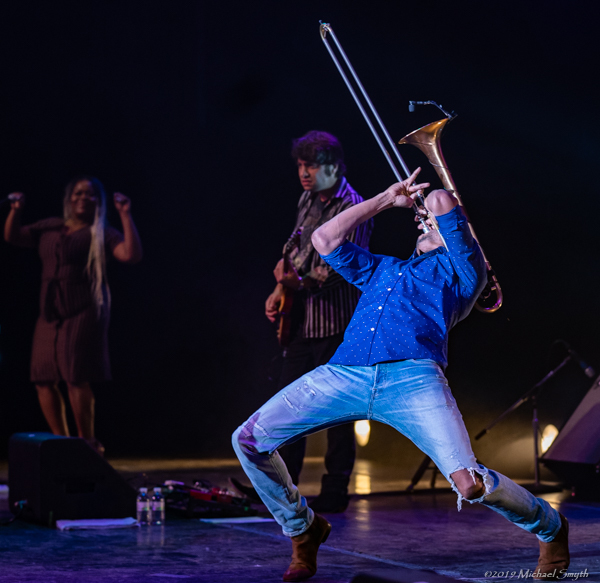 With a head-bobbing coda they introduced Andrews to the stage, who received a rapturous response from the crowd as he strutted out triumphantly with his trombone in one hand and a gleaming smile stretched across his face. From there the band and Andrews set the night’s atmosphere with the rocked-out bounce of “Where Y’At?” which got people dancing out of their seats immediately. If anyone wasn’t sure where they were up to that moment they certainly got their bearings after the first song: they were partying in Shortyville. 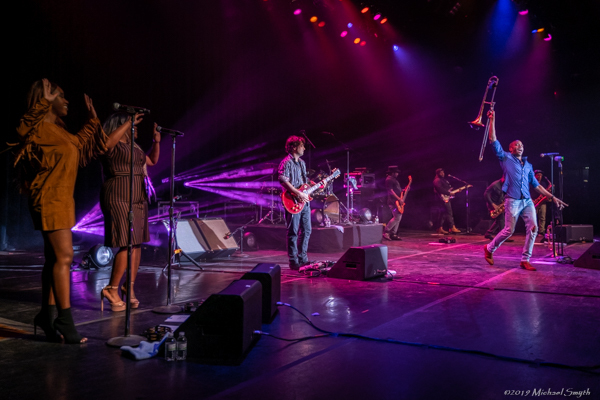 For an hour and a half Trombone Shorty and Orleans Avenue put together a tantalizing show that was expertly crafted to maximize the “wow.” For one, it cannot be understated how awe-inspiring it is to watch Andrews do his thing on stage. He plays both the trombone and trumpet with masterful authority. 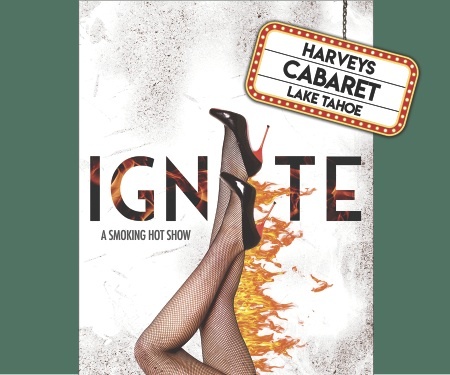 He’s an intuitive singer with knockout pipes and he dances like a fiend and is a suave bandleader, keeping the reigns of his charging band in one hand with the audience star-struck in the other. 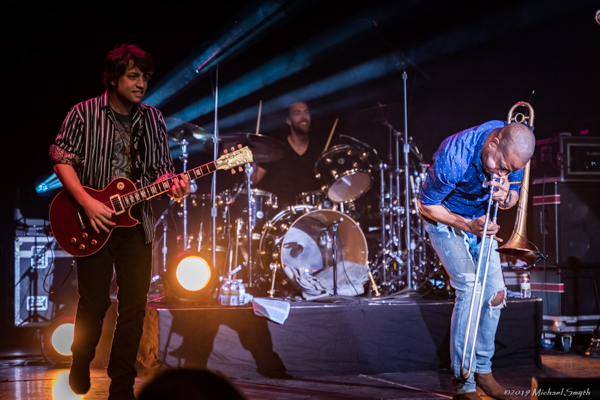 It is safe to say few people have the showmanship, charisma and musicality of Trombone Shorty. 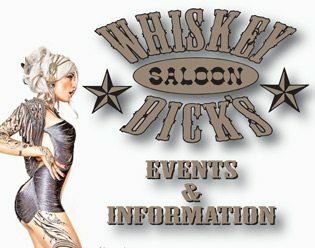 The show itself was filled with big-time runs, acrobatic guitar, full-throttle horns and vivacious singing, all the fixings for a blowout spectacle. 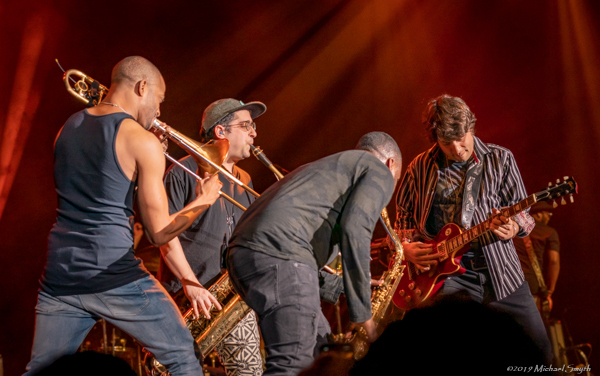 Band members were running all over the stage dancing, soloing and hyping up the crowd, none more so than Andrews and his graceful bulldog of a sax man Bernard “BK” Jackson. 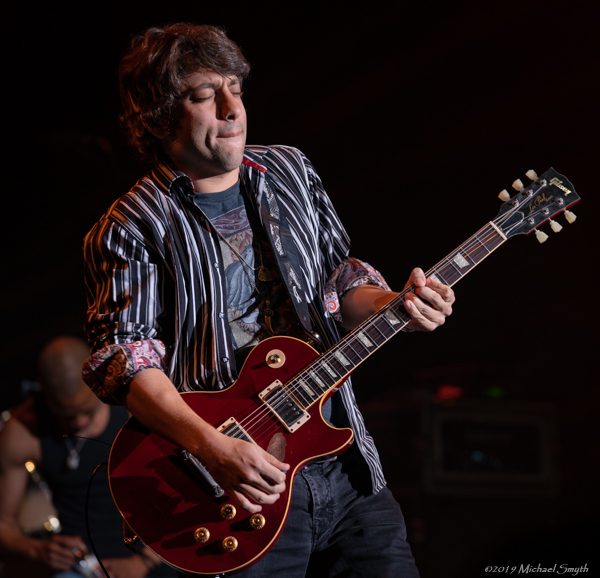 Guitarist Pete Murano raised the energy of the place anytime he ran his fingers down the neck of his guitar for a solo and singers Chrishira Perrier and Tracy Lee were each given the opportunity let the spotlight shine on their powerhouse vocals. Additionally, the group was quick to highlight its New Orleans roots, while updating the classic sounds with its modern sensibilities. 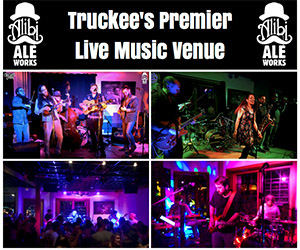 The group blazed through a bright-lights version of The Meter’s “Ain’t No Use,” beefed up Ernie K-Doe’s “Here Come The Girls” with a frenetic, stop-start outro and glided down the street on Louis Armstrong’s “Sunny Side of the Strasse,” complete with Andrews defying oxygen levels and giving the crowd a one note solo that must have lasted for close to a minute. 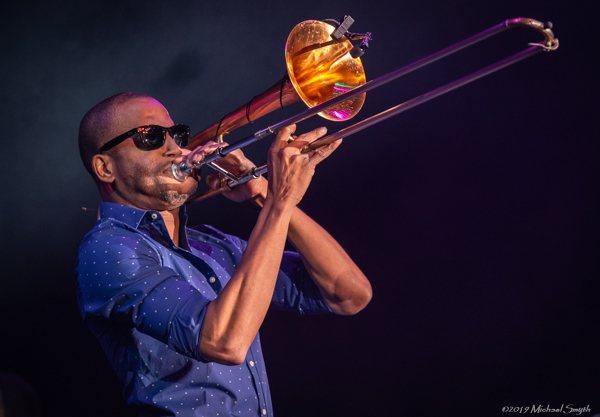 Most people will not be able to get down to New Orleans for Mardi Gras this year but for those at MontBleu Saturday night, Trombone Shorty and Orleans Avenue brought Mardi Gras to them. Garrett Bethmann is a graduate of University of Mary Washington with a degree in English. 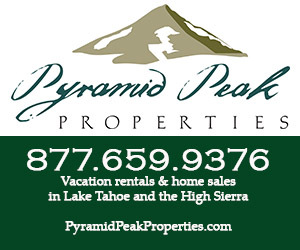 He moved to Lake Tahoe in summer 2012. 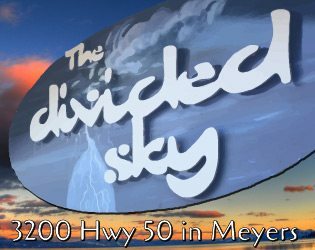 Nice article to capture the evening which was tremendous!